Paying your employees for the hours they are scheduled doesn't always make sense, so capturing the times that employees arrive and leave work can be important. Using our time clock and timesheets, you're able to record the actual hours worked, allowing for more accurate cost reporting and payroll. Knowing the hours your employees are at work is essential, as these hours provide more accurate payroll and reporting. 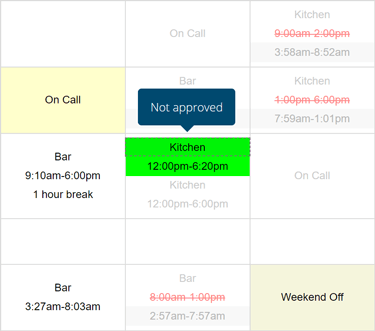 Instead of overwriting your scheduled hours, actual hours are saved as timesheets, submitted either by employees or by a manager. 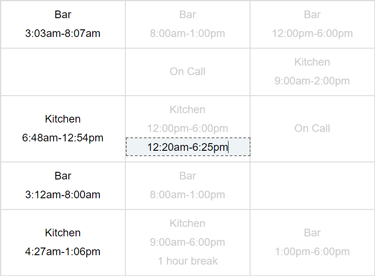 Findmyshift can cross-reference the scheduled hours for an employee and notify managers when they clock-in or out early, late, or not at all. This may be of particular importance if you have to ensure the safety of employees who are working off-site. Already using another time clock application? Migrate your data over to Findmyshift for a quick and easy switch. 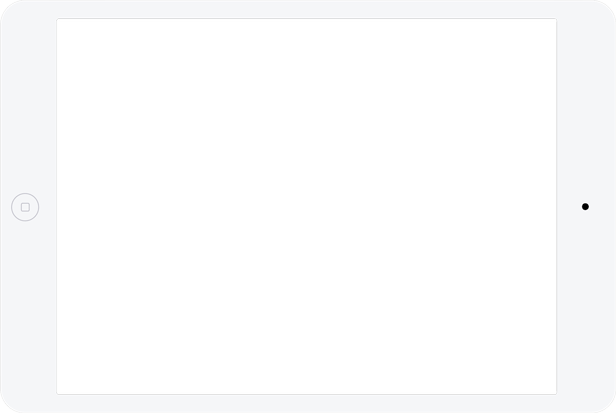 Want to keep using your existing app? Import your time clock hours as often as you need them. Our timeclock station operates as a central access terminal for your employees to securely clock-in and clock-out for their shifts. It can even be set up to photograph your employees to avoid 'buddy clocking'. Alternatively, you can enable your employees to clock in/out via our app, mobile-site or web-site. 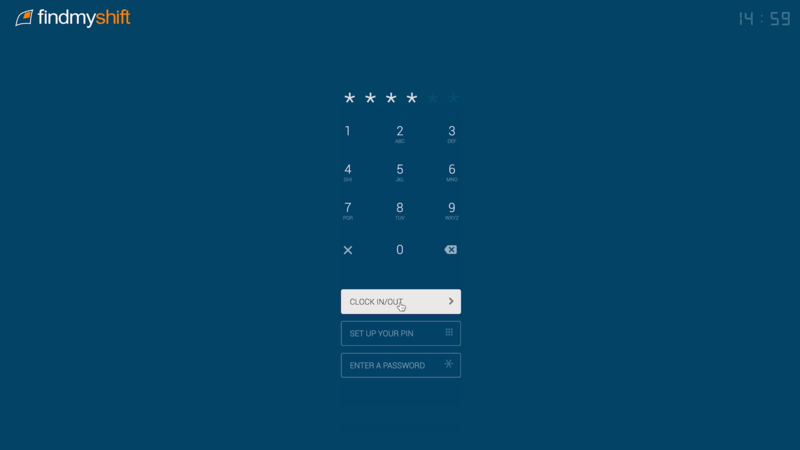 Employees can clock in and out with a PIN, or with the same password they use to access the website. 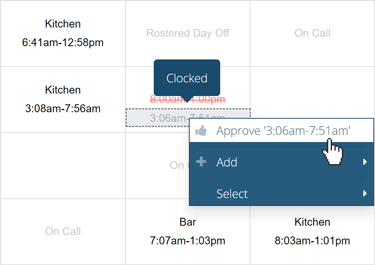 If your employees forget to clock out, we'll clock them out automatically each day at a time set by you. Ensure your employees are at work when they clock-in by restricting their access to your workplace network. Employees clocking-in before they get to work? Need to be sure employees are safe? Our location tracker will let you know exactly where your employees clock-in and clock-out in real-time. When timesheets are submitted by employees they remain unapproved until they are reviewed by a manager. Only once they are reviewed and approved can they be be included in payroll and cost reporting. Depending on how you process your payroll, the approval stage may be the last check in place to prevent over (or under) paying your employees. 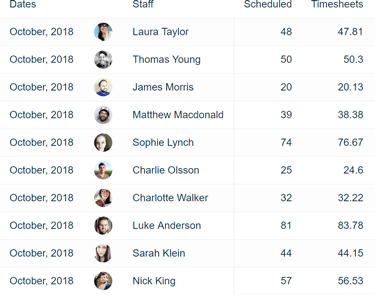 If your employees are clocking in and out of their shifts, their timesheets will be filled with their clock-in and clock-out times, ready for manager approval. With timesheets being submitted directly from the time clock, managers can have confidence in the hours that they are approving. Once approved, timesheet data can be used throughout your reports, including "Schedule vs. timesheets". This report gives you an overview of the scheduled hours and expected costs compared to the actual hours worked and the real costs. Time clocking and timesheets are included with every account at no extra cost. There's no restrictions and no limitations, even on the free plan.